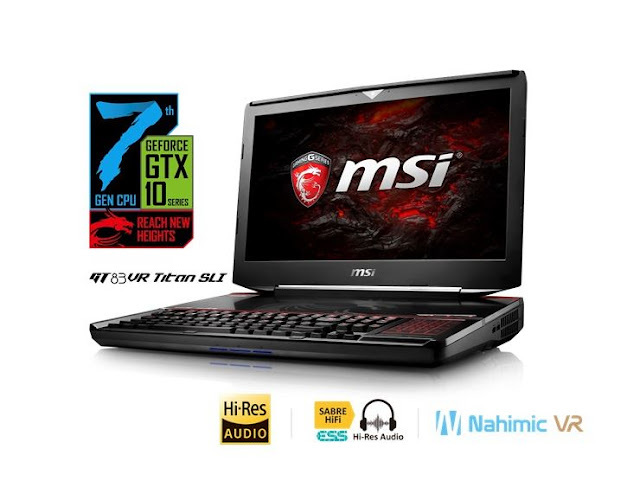 Home / 7th gen processor / ces 2017 / gaming laptop / hi-res audio / intel 7th gen / msi / nahimic VR / VR audio / vr ready laptop / MSI brings the gaming experience into a whole new level. MSI brings the gaming experience into a whole new level. How fast is too fast? For MSI, it’s always a second behind; which is why we are always pushing to implement the newest technology into our gaming products for our Dragon Fans. 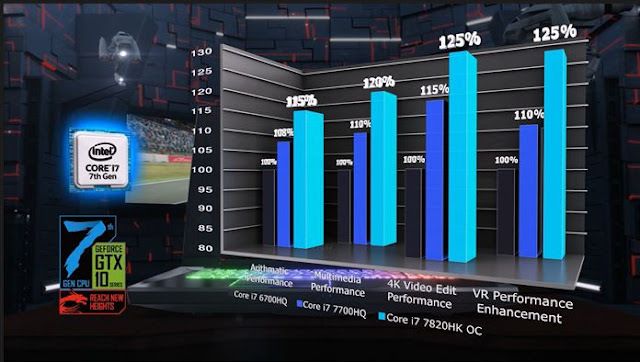 Both Intel® 6th Generation Skylake CPU and NVIDIA GeForce® GTX1060 (1070,1080) made remarkable breakthroughs in shortening the gaps between gaming laptops and gaming desktops to essentially none. Now, the gap will be further shortened with the introduction of Intel® 7th Generation CPU, KabyLake. Gamers are expected to experience 15% (non-OC) to 25% (OC) in CPU performance boost. Intel® 7th Generation CPU KabyLake yields significant performance boost as shown in the data above. In CES 2017, MSI will be launching its gaming laptop in the market, aligning with Intel to move forward for all users who desire better VR experience and 4K video/gaming experience in early 2017.